Is Uber finally in Cuba? No, but with its own twist of Cubaneo, “SUBE” is. With the arrival of 3g technology and a group of millennials who’s office is a WiFi Park, Sube Cuba is officially the country’s first ride sharing app! And to that I say: Hallelujah! The app came just in time. The Transportation Issue. New constitutional provisions that prohibited many private taxis to operate was introduced around the same time mobile data was announced to the public. 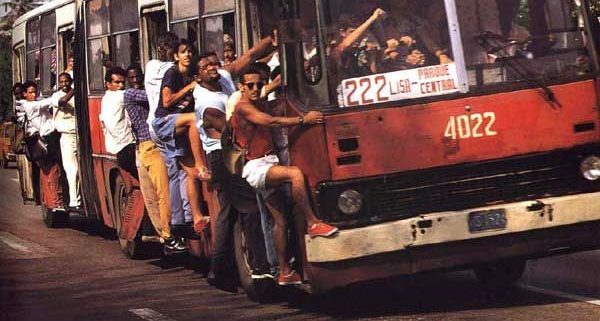 But before these changes were happening, the group of 4 20-something’s were already trying to solve an endless problem Cubans are confronted with everyday: transportation. That problem has been a major issue in this county for decades. The combination of the US embargo alongside domestic economic and political issues has damaged public transportation and the buy and sell of vehicles. This is especially true in Havana, Cuba’s capital. With a population of 2 million people, the bus system is minimal and leaves many riders jam packed (unsafely I might add) in busses. Now with the new constitution crusading against unlicensed (untaxed) private taxi drivers, the problem got exponentially worse. 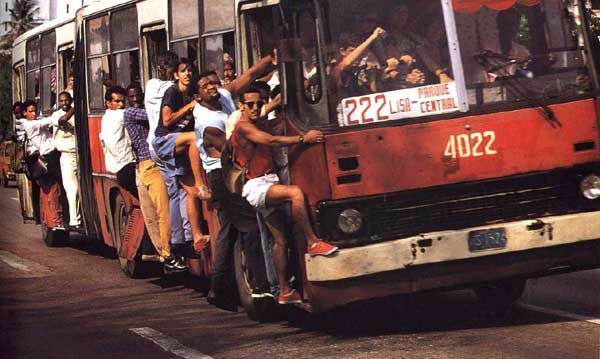 Before, Many Cubans use “colectivos” as an option of public transportation. These private cars pick people up on a certain route and drop them off for a set price (usually around 10 pesos cubanos or 50 cents cuc per person). Now after the provision, taxi drivers are required to have a license from the state, pay monthly taxes, forced to buy a quota of state gasoline (previously bought more frequently on the black market), and mandated to lower the prices of their services at the same time. So it’s only natural to know what comes next: very little taxis. That’s where Sube comes in. Before the announcement of mobile data, the group was already implementing the app via email service. But once the mobile data services were announced, it changed the entire game. 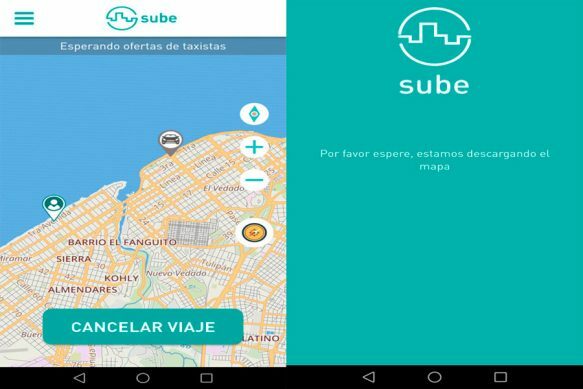 With Sube, Cubans and tourists can now upload the app and ask for direct taxis. Drivers have the option to charge their prices and accept rides. It works similar to Uber though not as advanced. There’s no “uber pool” or options of cars. But it resolves many issues people face on the island. Now with just an app you can have your ride waiting for you without standing on the corner forever. The app is completely free to download and use for both the rider and the taxi. The founders, Claudia, Darien, Damian, and Luis Alberto sit in the WiFi Park everyday coding and designing the app. They have yet to monetize the app (a very legally tricky thing to in Cuba) so they make absolutely no money off creating the app. As of now they are just trying to perfect the app so it works perfectly and get the word out. They have about 3,000 users and the number is rising everyday. Claudia hopes that the app “resolves both Cuban problems and tourists problems. Many times as a tourist you don’t know how much transportation is and you get ripped off just because you’re a tourist”. With the app, the price is confirmed before hand without the driver knowing country of origin a rider is from. Transportation is already tricky for tourist. But with Sube this makes it even better! The app is only available through Android but they are quickly working on releasing it for iPhone. Just another amazing story of Cuban strength despite the technological and financial challenges. While many news publications will compare Sube to Uber, perhaps Uber might learn something from a group of four techies in a country where tech is far from modern. You can download Sube here and check out their Instagram and Website.